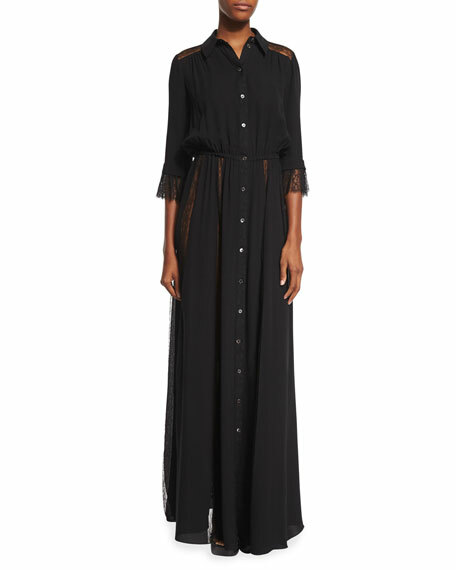 Michael Kors chiffon shirtwaist gown with tonal-lace detail. Elastic band cinches the waist. For in-store inquiries, use sku #1703667.